Designed and handmade by Clare Quinlan. Limited Edition ring. 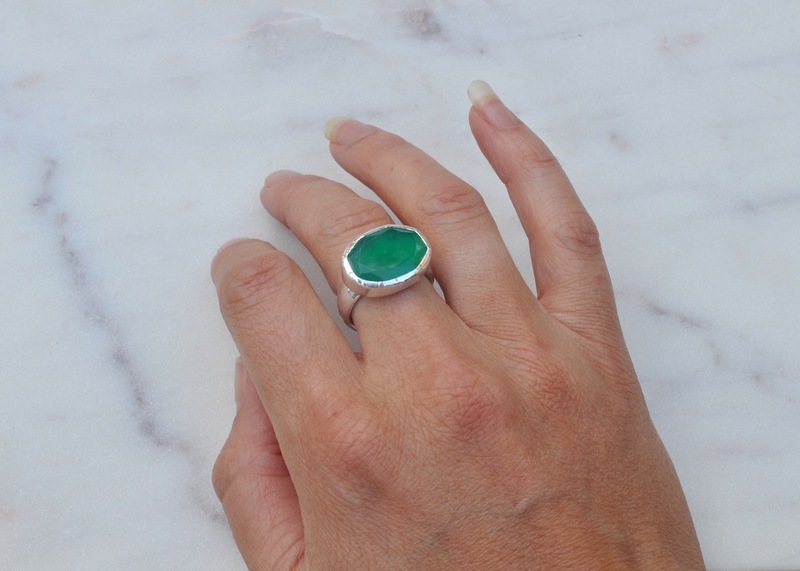 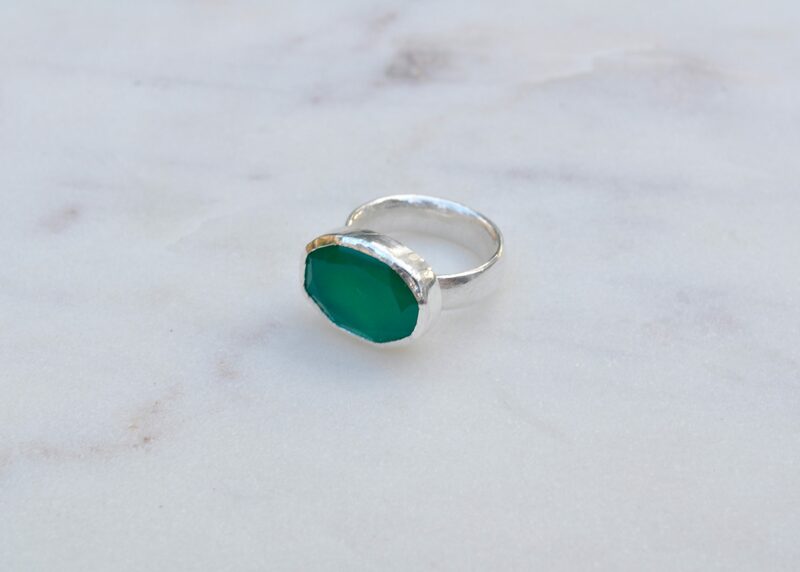 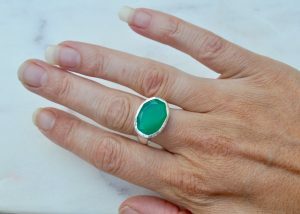 green Onyx stone set in sterling silver on a chunky sterling silver band.